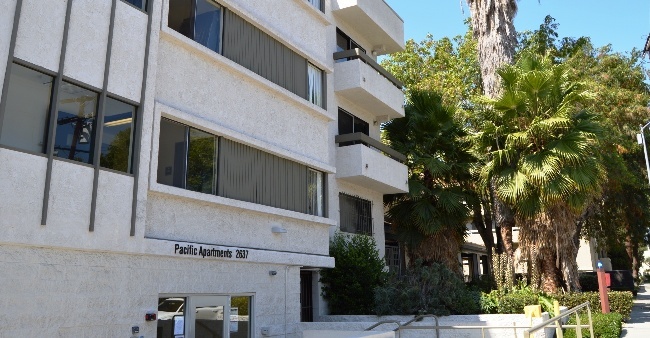 Located four and a half blocks north of campus, Pacific is a large apartment building for graduate students. 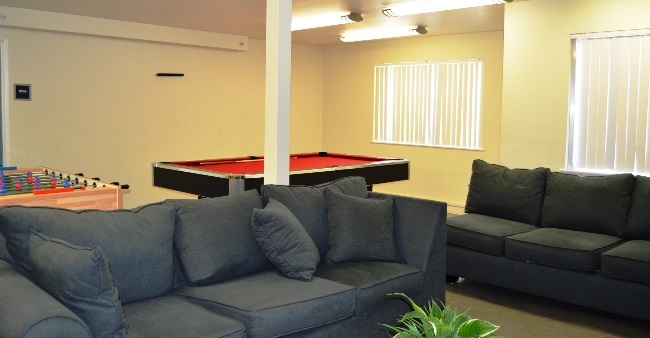 Its two-bedroom apartments have living room air-conditioning units and the modern kitchens feature bartop counters. 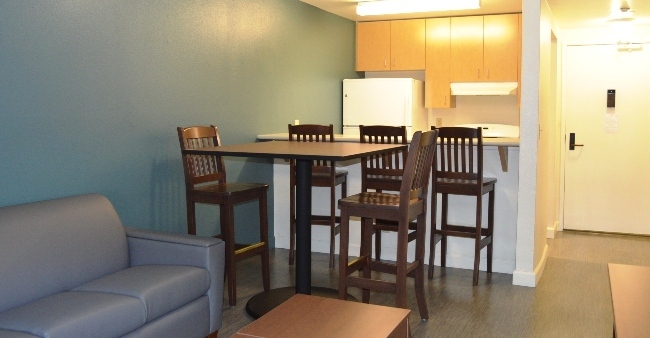 The units were recently renovated with new flooring throughout, new windows, remodeled bathrooms and new, modern furniture. 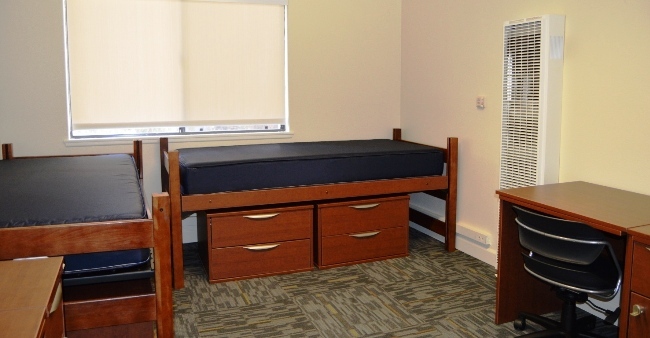 The two bedroom for four students is an attractive housing arrangement for grad students looking to reduce their housing costs or who wish to live in a roommate group. 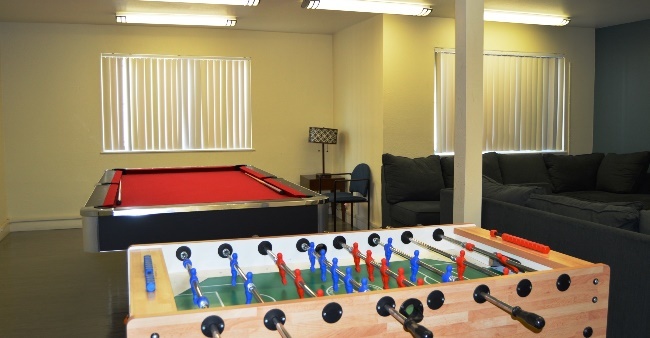 A recreation room provides a 70" flat screen television with plush sectional sofas along with pool and Foosball tables for the residents' use, The study room provides a venue for individual or collaborative study. Behind the building, a stone patio deck is equipped with patio tables and two built-in charcoal barbecues. 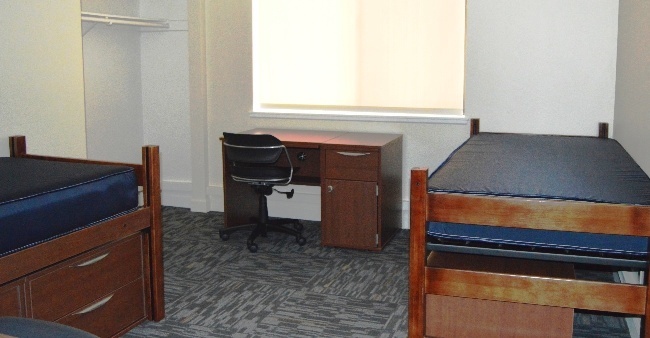 Residents have exclusive access to a small fitness room with treadmills and elliptical machines. 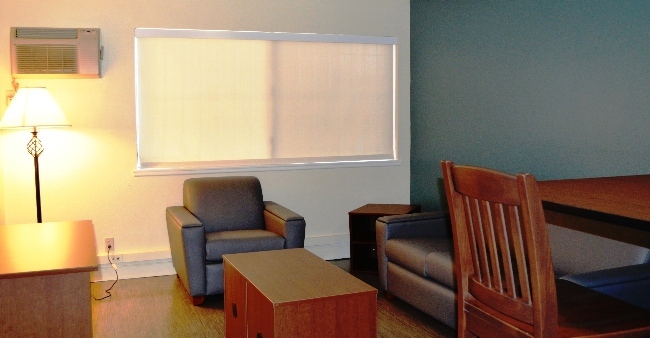 Pacific offers the Graduate Full Year contract, beginning in early August and concluding in late July. 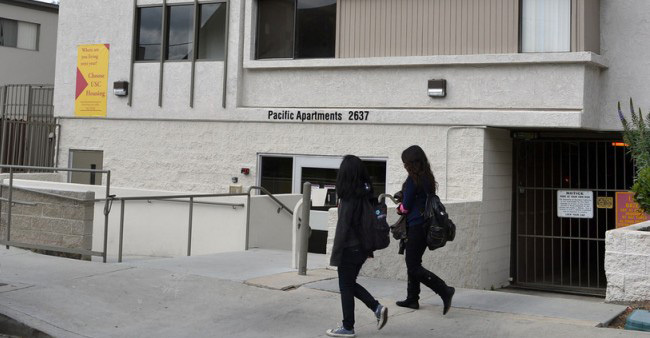 Pacific has a USC bus stop, making it easy to get to the center of campus. Limited secured underground parking is available in the building’s garage.